Before I get back to talking about Dun, I wanted to pass along the link to another recent study, “Crypto-tobiano horses in the Hucul breed“. I made a post several years ago about the presence of white markings on the faces of some tobianos (“Opening a Can of Worms“), and mentioned the primitive Hucul breed. This new paper, published in the Czech Journal of Animal Science, discusses the possibility of a separate modifier that serves to limit white patterning in tobianos. I have suspected for some time that this is also the case in the Icelandic, Shetland and Miniature Horse breeds, so I hope there may be renewed interest in further studies of this. So if we started at the beginning, with the horse before he was domesticated, we would be looking at an animal with a coloration much like the Fjord pictured above. The similarity between this particular type of bay dun and the coloring of wild equids is obvious, and was noted before the founding of the science of genetics. In his book The Variation of Animals and Plants Under Domestication, Darwin noted the primitive nature of this color. With the rediscovery of Mendel and his laws of inheritance, color variations came to be spoken of as “factors”, and then later as “genes”. Understanding physical reality behind these “factors”—the discovery of DNA—was still the better part of a half-century away. So a horse like this Fjord would have been said to have the “bay gene” and the “dun gene”. Much of how non-scientists talk about animal color still sounds like this. But within the scientific community, where advances in technology have given incredible insight into the mechanisms controlling development, color is spoken of as a process. A very complex and (at the moment) only partially understood process. Let me try to give a simplified explanation of this developmental process and how it applies to bay dun. The precursors to pigment cells originate in the neural crest of the embryo. From there they migrate outward from the dorsal line, and multiply across the rest of the body. Once at home in the skin and hair follicles, these become the “factories” where pigment will be produced. If you break something in this part of the system, you get spotted* phenotypes. The reason white patterns tend to trump all the other color traits—why, for instance, a dorsal stripe does not continue on through and bisect the white area of a tobiano—is that this is the start of the process. What happens within those cells after they start making pigment doesn’t matter if the cells never make it to a given location. Although horsemen, and certainly artists, tend to think of white as something added over the top of the basic color, understanding that color-producing cells have to migrate across the body makes it more obvious that white markings and patterns are actually the areas that those cells did not reach. When pigment cells fail to migrate to the end of the limb, the result is a white marking on that leg. Those pigment cells, once in place, are where melanin is produced. This process, which involves numerous steps, is known as melanogenesis. If you break something in this part of the process, the body may have viable pigment cells, but their ability to make pigment is compromised. Dilutions like cream, champagne and silver are mutations to (well-known) genes that control some aspect of melanogenesis, and the fact that different genes govern different parts of the process is why the phenotypes are different. Pigment cells also regulate the chemical composition of the melanin, which determines whether black (eumelanin) or red (pheomelanin) is produced. This is what was discussed in the series of posts on pigment-type switching, which is the proper term for this part of the process. If you break something in that part of the system, you change the proportion of red and black hair. Because hair and skin are routinely replaced, pigment cells must continue to function to maintain coloration. If something in this part of the process is broken, there is a progressive loss of color. Greying is probably the most familiar example of an alteration that occurs in this step. So back to our domestic horse ancestor, who was bay dun. That first part, his bay “base” color, is determined in the process explained in Step 3. Back when colors were still “factors”, two major controls were theorized: Extension and Agouti. In modern terms, the theorized “Extension” is a gene known as MC1R and “Agouti” is a gene known as ASIP. Together those two sites form the primary control of pigment-type switching in horses. In their original, unmutated form, they work together to give a pheomelanic (red) body and eumelanic (black) points. That is what is meant by the statement that “bay is the ancestral (base) color of horses”. Because the pigment-type switches were formally identified first, it was possible to confirm that bay was the original wild color for horses. The assumption was that the ancestors of the domestic horse were also dun, but dun proved more elusive to identify at the molecular level. Part of the reason for that was that it was not in an expected place. In fact, it was not found in the expected part of the process. Because dun is thought of as a dilution—indeed the phenotype is diluted in appearance—the assumption was that the cause would be found in one of the sites known to be involved in melanogenesis (Step 2). In the paper I linked to in the previous post, the MLPH gene was examined and ruled out. That gene is involved in Dilute (d) coloration in dogs (often called “blue”), but had not yet been linked to any of the diluted phenotypes in equines, so it was a logical candidate. The precise nature of the reduced pigment intensity in Dun is highly unusual; it can in essence be described as a microscopic spotting pattern, whereby the pigment distribution within each hair is radially asymmetric. This results in a microscopic spotting phenotype on the level of the individual hair, giving the impression of pigment dilution. The timing of the mechanism behind Dun explains why, unlike cream or silver dilutes, dun horses have diluted bodies regardless of their base color. It is the placement of the pigment cells in the hair follicle, and not impaired production of pigment, that make the coat lighter in those areas. And that happens before pigment is made or pigment-type determined. That may also explain why Dun characteristics (like the dorsal stripe) persist even when the color is paired with subsequent dilutions. The discovery of a new role for an established gene is an important scientific discovery. As people interested in horse color, we tend to think of discoveries like Dun in terms of tests (or more accurate versions of existing tests). But the investigation into Dun is a good reminder that when it comes to the process by which animals acquire their color, there are is still much that is left to discover, and that some of it may be surprising. Another interesting aspect of this discovery is that the idea that dun hairs were different at the microscopic level is not entirely new; this idea was suggested in older books on horses color (Geurts, 1973 and Green, 1974). This also has intriguing implications for the type of color-shifting seen in some of the traditional (large-scale, as opposed to “microscopic”) spotting patterns. But that is all jumping ahead, and a topic for another day! So the original wild horses probably looked a bit like this Fjord, with pigment distribution causing a body color that was visually quite pale while the primitive markings were more intensely pigmented. But the color of the modern domestic horse is more typically pigmented at full intensity across the entire body, like the warmblood to the left. What changed? And why? The other big finding of the recent dun research was that this was a gradual process, and that it began long before—close to 40,000 years before—horses were domesticated. That will be the subject of the next post. *Although it has been used by some horsemen for specific patterns, “spotted/spotting” is also the generic scientific term for any form of white marking or pattern. I talked in a previous post about changing the framework of understanding for horse color from the familiar “base + modifiers” to one that is based on the evolution. In describing the original wild horses, I explained that their color, that color in all animals, is the result of a developmental process. Their coloration was the result of a pigmentary process, controlled by a number of genes. While still in the wild, mutations to those genes changed part of that process, which in turn changed the color of the horses. Since more time has passed since I posted that than I intended, and because it is so central to thinking about horse color from an evolutionary standpoint, I want to expand on this idea of colors as a biological, developmental process. We think of colors as traits—as aspects we can see in the individual or in breeding outcomes—but there is an underlying process involved. In any given species, that process produces a specific coloration known as the wild-type. You can think of it as the default setting for the species. 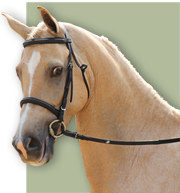 In horses that default color is yellow dun: buff body coloring, black points and primitive markings. Using the “base + modifier” framework, we would think of this as “bay modified by dun”, but in actual practice this coloration is the result of many genes (known and not-yet-known) that control pigmentation as the embryo develops. Now if you disrupt that development, if you change one of the genes that controls the process, then the outcome is different. That is what color mutations do; they disrupt some aspect of the process which in turn changes the final color of the horse. So, just keep that in mind as we go forward with the next few posts. Our starting point is the original color of the species, which is a yellow dun much like the kind pictured at the top of this post. In the next post I’ll talk a little about the processes involved that produce that color… and then we’ll start breaking things (or at least muck them up a bit) and see what that does to the final color! Hello! If you are interested in horse colors and patterns, or issues of genetic diversity, you have found the right place. This blog takes its name from a series of books on horse breeds, their histories and their colors. More information about the books can be found on the page for Blackberry Lane Press. Please, browse around and enjoy the site. You can also reach me directly through the Contact page (the little envelope icon on the main menu). Most of the photos that appear in this blog were taken at events in the southern United States. If you recognize one of the animals here as your own, please let me know. I am happy to provide high-resolution images to owners upon request.